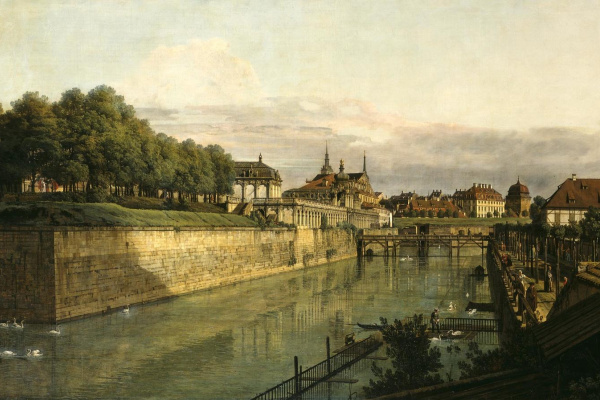 In the 1740s, Frederick Augustus participated in a large-scale construction campaign aimed at making his Saxon capital Dresden one of the most prominent architectural and artistic centers of Europe. Augustus urged Venetian painter Bernardo Bellotto to come over to document his achievements. 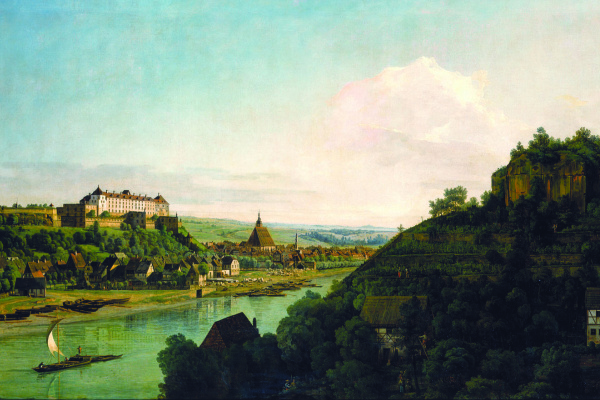 Performing this prestigious mission, Bellotto created a series of majestic images of the main buildings of Dresden, grouped on the banks of the Elbe River, and the nearby city of Pirn. 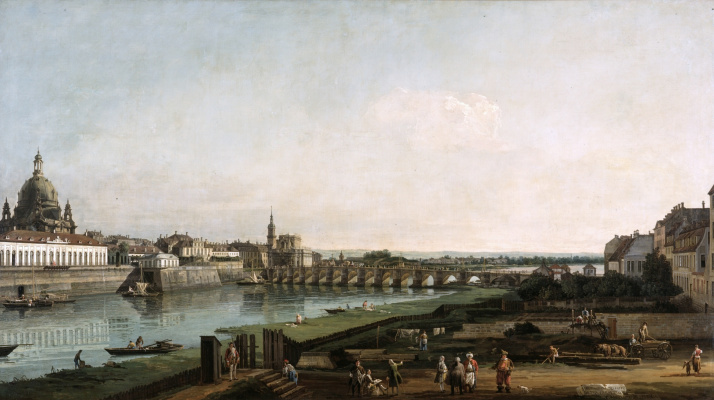 Among the first paintings made by Bellotto after arriving in the city, was “Dresden from the right bank of the Elbe, above the Augustus Bridge”. 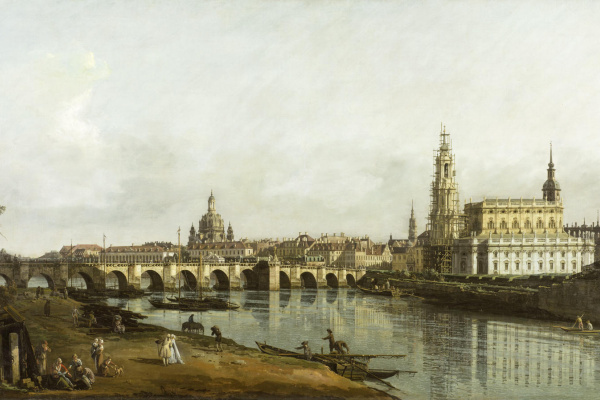 Bellotto Picturesoften as captivating as their anecdotal details, as with their broad images of architecture. People grouped in the foreground from the right bank of the Elbe testify to the role of Dresden as an international capital: they were identified as two distinguished Italians, court physician Filippo di Violanti and opera singer Niccolò Pozzi, joined by the Third Man in Turkish costume. 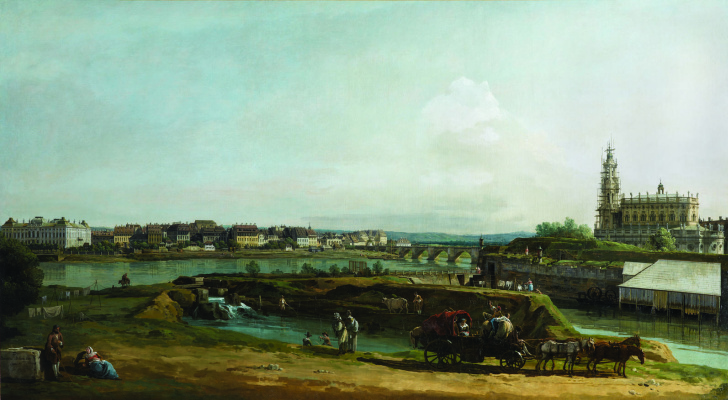 In the same way, the river bank in the “Former Fortresses in Dresden” is teeming with citizens plying in their fields; the artist casts his activity in the shadow, but the obelisk-pointer catches the muffled sunlight, distracting the viewer's eye from the brightly lit facades far from the action in the foreground.